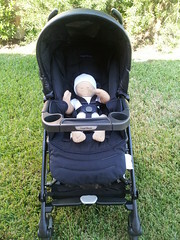 This doll is roughly the size of an average to large newborn and it fit very well in the Primo Viaggio 30-30. 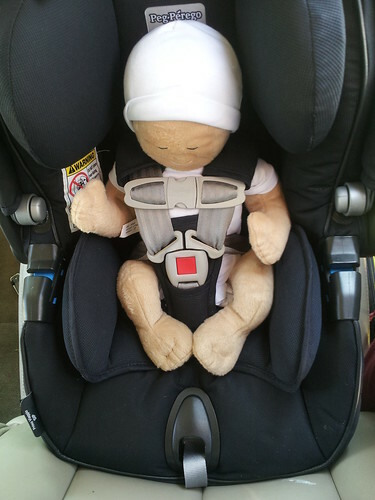 Low birth weight babies may not fit as well. The Primo Viaggio 30-30 base is not difficult to install with LATCH. 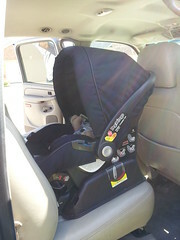 Installations with a seat belt can be difficult depending on the belt geometry. 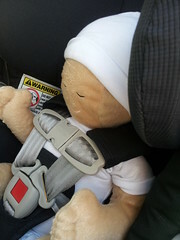 The car seat is well labeled with stickers to remind the parent or caregiver of the proper use and installation. 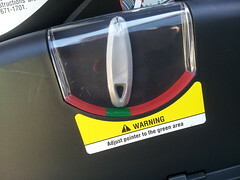 The stickers are no substitute for reading the manual but serve as good reminders. 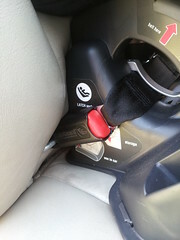 There is a sticker on the handle with arrows to indicate the proper handle positions for carry and for travel in the car. 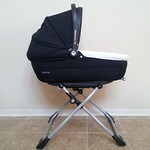 The Navetta XL Bassinet is for babies 20 pounds or less that cannot roll over. 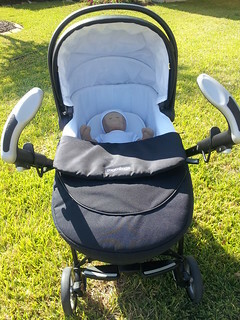 It easily attaches to the bassinet stand as well as the stroller chassis and has feet that allow it to sit flat on the floor. 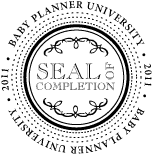 The head of the mattress adjusts up and down so that baby’s head may be slightly elevated or the mattress can be completely flat. 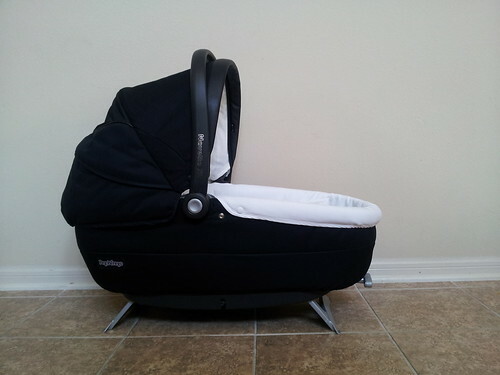 The fabric is breathable and the bassinet features an adjustable ventilation system. 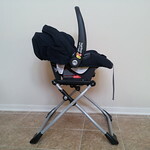 A foot muff is also included to keep baby well protected in cold weather. 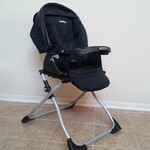 The bassinet stand’s use is not only limited to the bassinet. 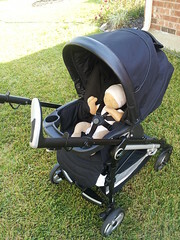 It accepts the Navetta, Primo Viaggio 30-30 and the stroller seat. This could be of great use in a restaurant when they have run out of slings or highchairs. 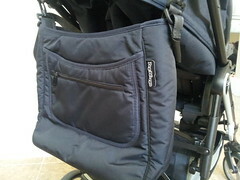 The Borsa Mamma diaper bag features a main compartment with three pockets to help keep you organized. 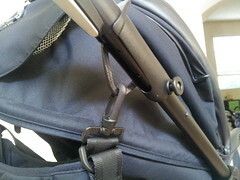 There is an outer pocket that has a smaller zippered pocket on it as well as bottle pocket. 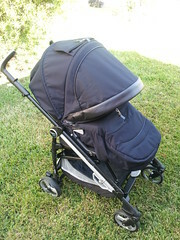 It comes with a changing pad and clips to attach the bag to the stroller chassis. 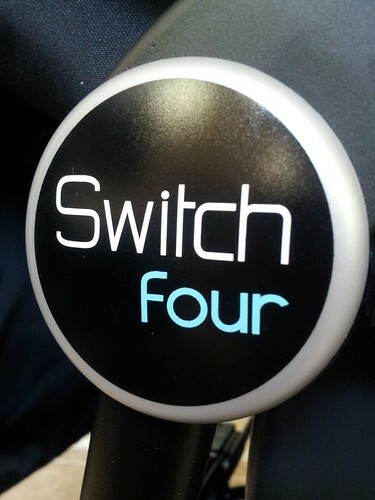 The Switch Four Stroller can be used with the Navetta XL, the Primo Viaggio 30-30, or the stroller seat. 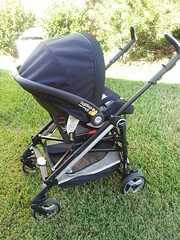 The stroller seat can be used rearward facing or forward facing. A foot muff is included to keep baby warm in cold weather. 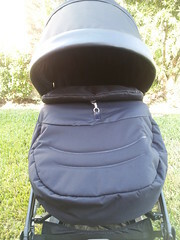 The foot muff along with the large canopy offers lots of protection. 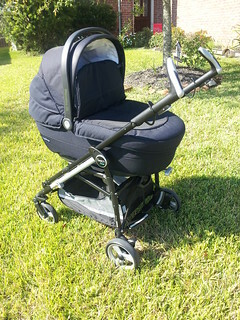 The stroller seat is suitable for children up to 45 pounds and 43 inches tall. The weight limit for the basket is 11 pounds. 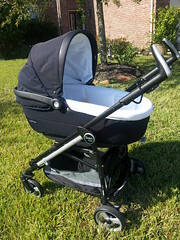 The stroller seat can go flat making it newborn appropriate and by adding the foot muff makes a carriage mode to keep a tiny baby snug and secure. 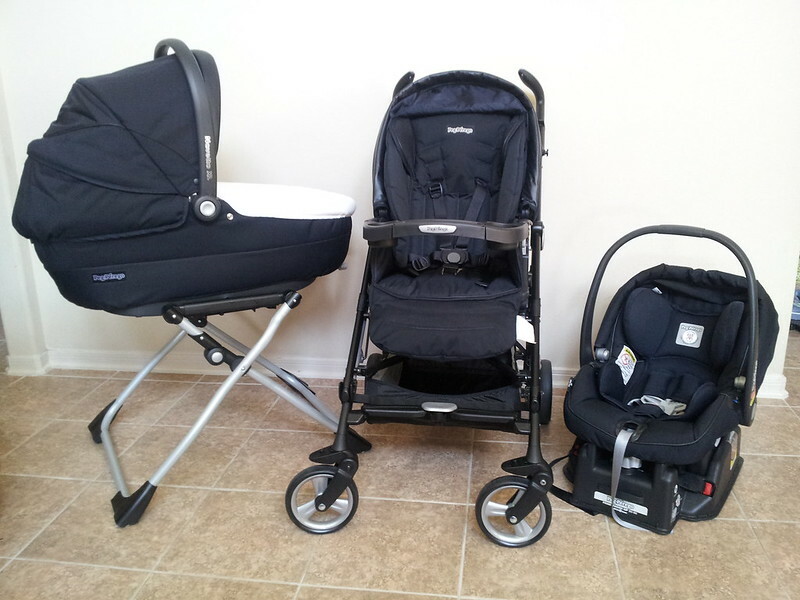 Thank you to Peg Perego for providing the Switch Four Modular System for review. do some of the responses look like they are left by brain dead individuals? 😛 And, if you are posting on other places, I’d like to keep up with you. Would you make a list of all of all your social sites like your Facebook page, twitter feed, or linkedin profile?